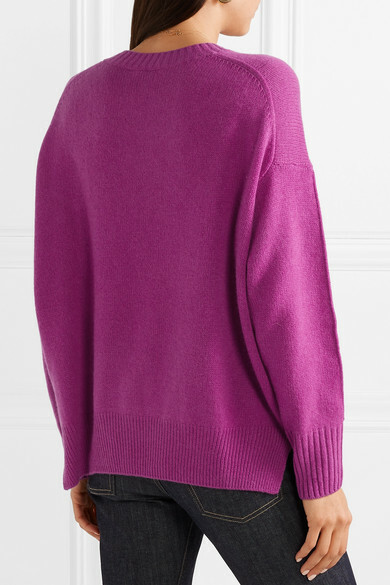 Allude's oversized sweater is knitted from blanket-soft cashmere in a striking violet hue - the brand uses a special dying process to ensure the most vibrant and rich color. 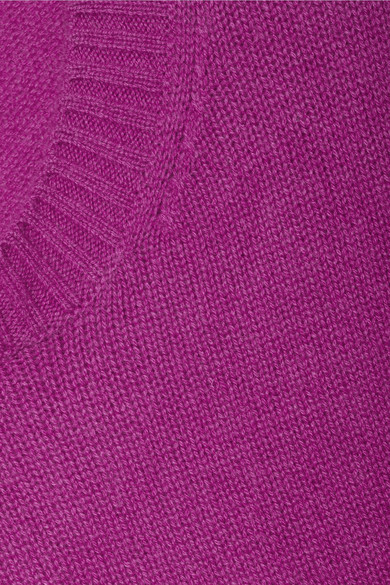 It's outlined with thick ribbed trims and has a curved hem that's slit at the sides. 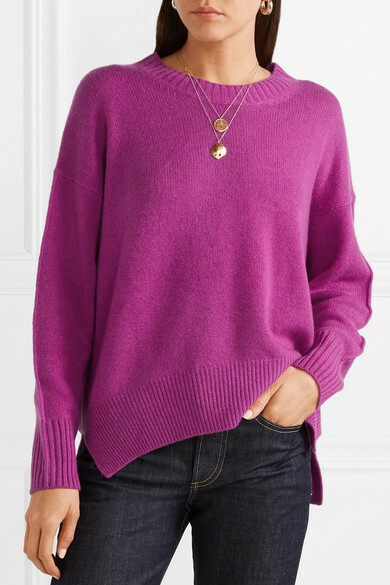 Half-tuck yours into high-waisted jeans or slip it over a floaty skirt. Shown here with: EVE Denim Jeans, Chylak Tote, Common Projects Sneakers, Alighieri Necklace, Leigh Miller Earrings, Alighieri Necklace.